Our item on professional learning in Issue 36 of Registration Buzz generated a lot of feedback from teachers who were concerned some of their professional learning could not be used as part of their 60 hours. The Board is developing a new policy that will provide greater flexibility for counting professional learning for a given term of registration. This means that any professional learning undertaken in the January before your next term of registration begins will be counted as part of your 60 hours of professional learning for renewal of registration. The Teachers Portal is currently being updated to reflect this change. If you have any concerns or questions please contact us. Helen Doyle, Acting Director Early Childhood Services, DECD. Reflect Growth is holding a More than just cybersafety – tackling the social and ethical protocols of the ICT general capability, workshop, Monday 18 April at Seaton. More details here. The South Australian Science Teachers Association’s annual conference & expo is being held on Monday 18 and Tuesday 19 April at Brighton Secondary School. Full program details are available on SASTA’s website. 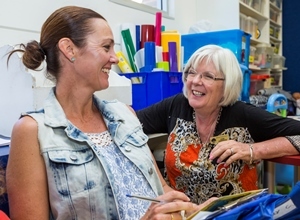 Teachers based in country areas can apply for two Helen Castle Memorial Scholarships valued at $500 each to facilitate their participation. Nomination forms can be found here. Applications close 8 April. Online professional learning that breaks down barriers – a great article in Education HQ Australia about online learning and community groups.